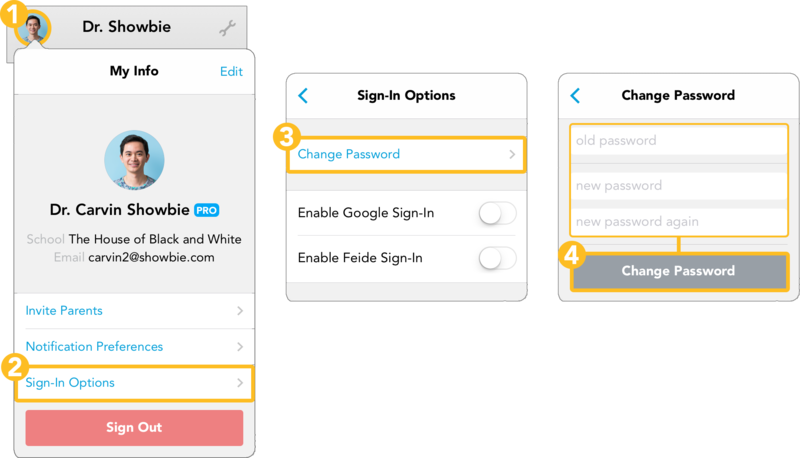 Change your password in Showbie to something more memorable and secure. Need to reset your password instead? We got you covered! Check out our guide to learn how to reset your password. You can also change your email! Here’s how you can do that. Showbie can send you email notifications through the email you provide. You can change your notification settings so that you’ll receive emails only when certain things happen. Students may also forget their username or password. As a teacher, you can help them log in to their account.